While visiting my dear friends in Monument, Colorado we spent one afternoon admiring yarn and houses. I bought some yarn, but no houses. For our first stop, we arrived at the Monument weekly farmers market with minutes to spare, which is all I need to inflict damage to my bank balance! Though, not as much as if I’d bought a house. See, it’s all about perspective. 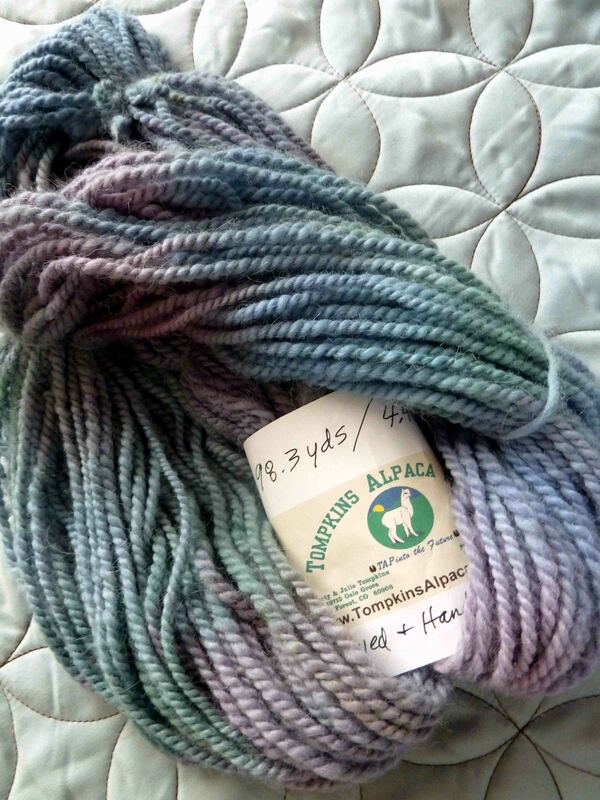 I immediately rushed to the Tompkins Alpaca Pride booth. 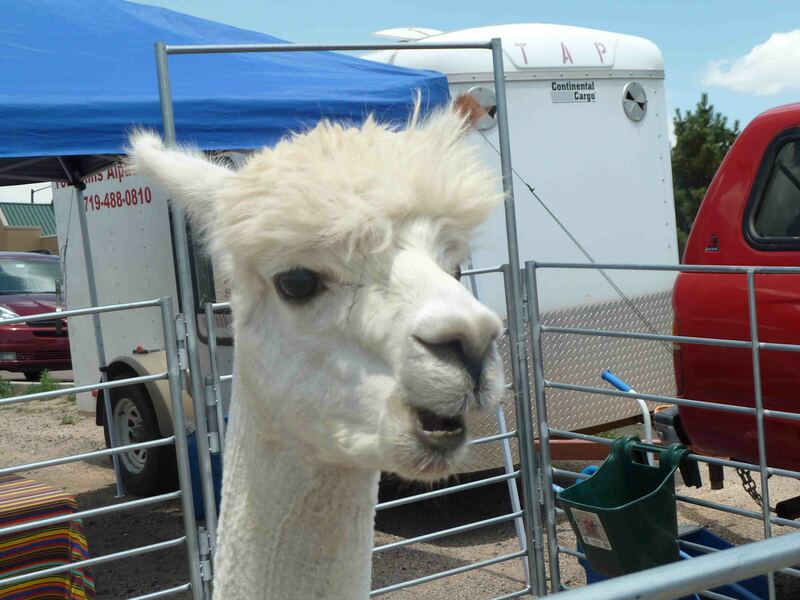 This local alpaca farm is owned and operated by Martin and Julie Tompkins. The previous week my friend posted a picture of the yarn spinner half of this alapaca operation, Julie, spinning. During my visit she was away visiting family, but an ethereal purple-blue yarn she spun and hand dyed caught my eye. As did the camera shy alpaca adjoining the booth. Every time I am face to face with an alpaca I am reminded how adorable they are. Martin and I discussed the ease of caring for alpacas. I asked if they would let him pet them or if they were standoffish like sheep. More like sheep, apparently, so I wouldn’t be petting an alpaca. "Yes, I am adorable!" He seemed to say. Mr. Touch-me-not was fun to watch and sort of reminded me of a dog. When a coffee can of treats was shaken he dropped whatever he was doing (eating hay and ignoring me) and hurried right over. I also discovered they have a cleft upper lip that opens, which was interesting. And when he gets anxious he makes a high pitched whine of concern, which he did when Martin started packing up the stall. He was immediately at the side of his pen and very concerned that he was being left here with all these strangers. By the by, there are alpaca farms all over Colorado. We drove by at least four in the Monument area. I purchase one skein of worsted weight yarn, which has 98.3 yards. What do you think I should do with it?